Have you voted already? Were you among those who fearlessly voted for the candidate of your choice? 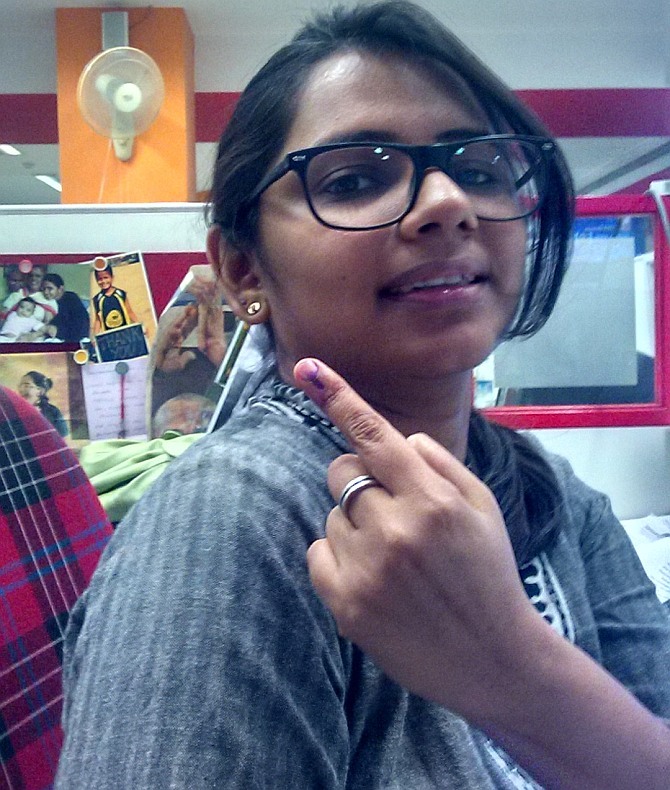 Rediff.com had asked its beloved reader to flaunt their voting finger proudly for the world to see. Some of them are being showcased here. In case your photo does not figure in this feature, scroll down the Zarabol feed at the end of the slide show to find it. 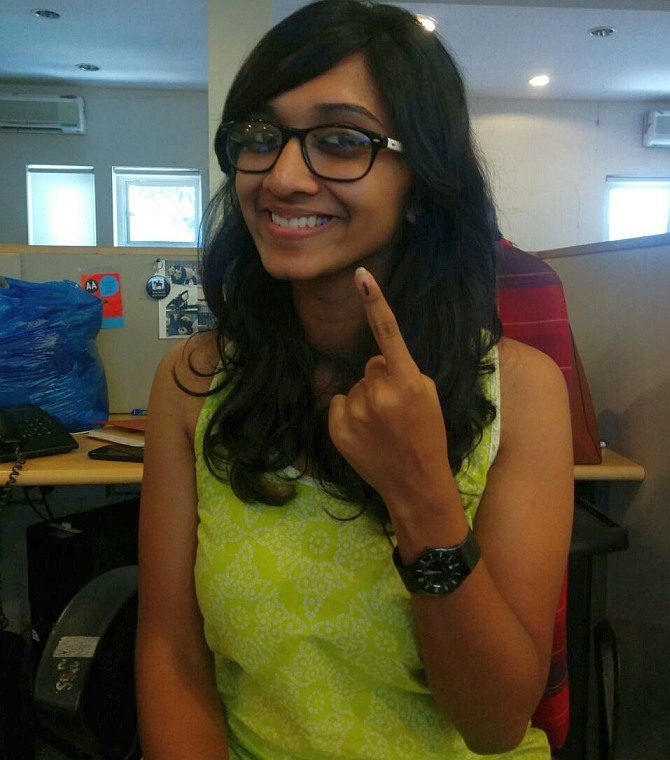 Moneeta Chainani cast her vote at Versova, Andheri. 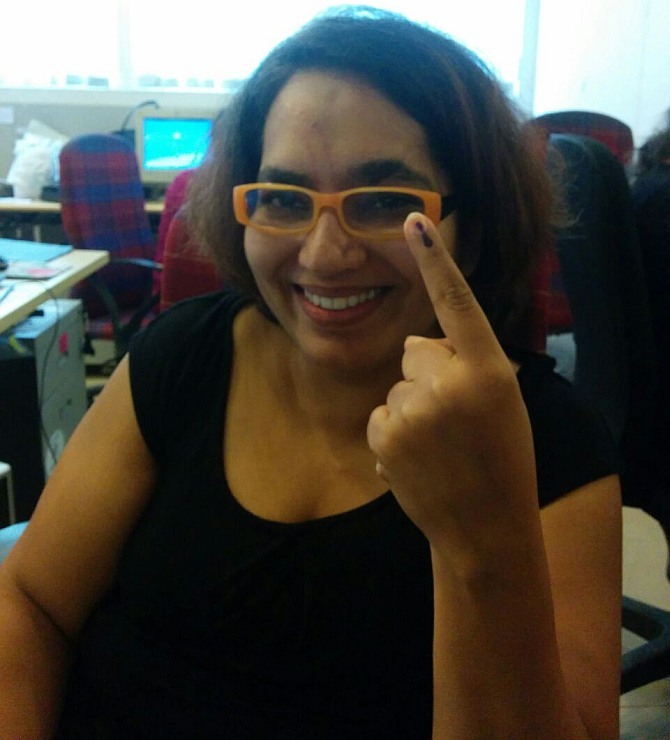 Suzanne Mark cast her vote at Breach Candy, south Mumbai. Ratnadeep Ambilwade sent us this photograph. 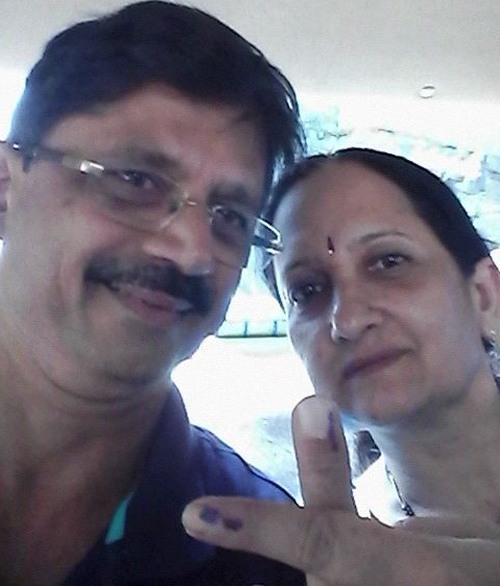 Deepak and Sonia Somne click a happy selfie after they vote in Andheri, Mumbai. 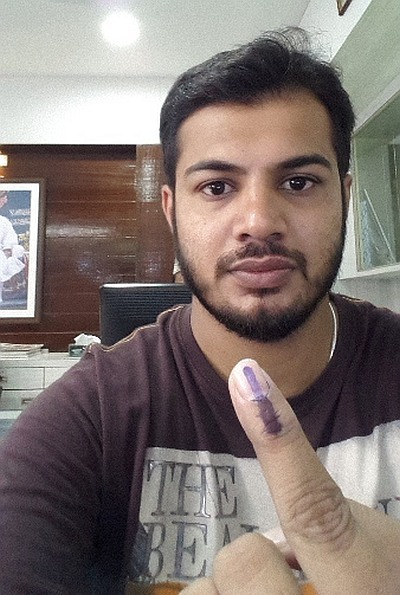 Kaustubh Deshpande says 'this colour can change your country'. 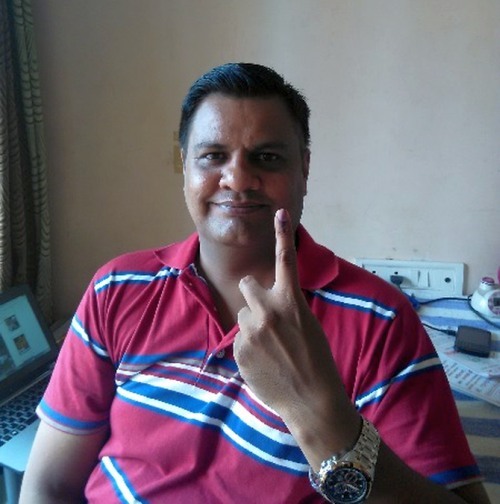 Vipul Patel says his vote is dedicated to all the staff who made voting easier and a salute to the policemen who are on duty since the last 36 hours. 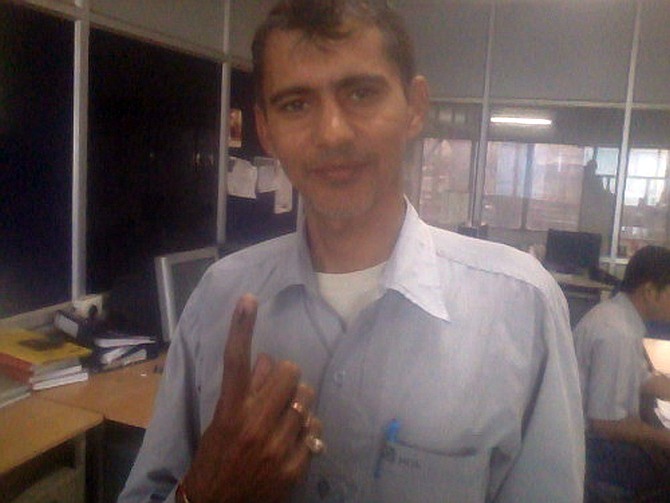 Hunaid Hamid from Nasik hopes he voted for the best candidate. He also appeals to fellow citizens to go cast their vote. 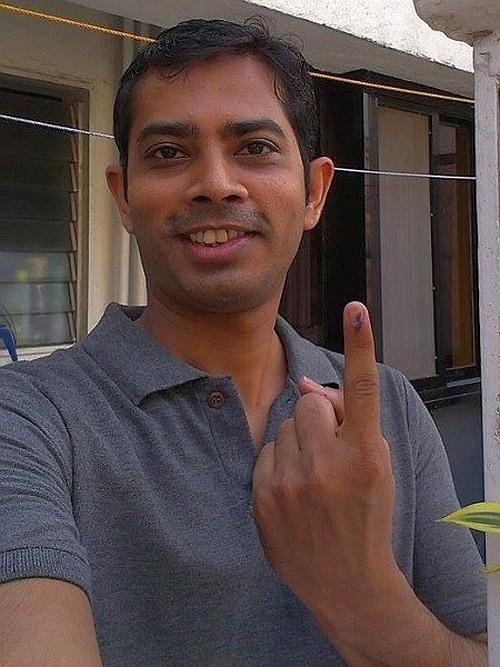 Vidya Sathe says she was the first to cast his vote at the Miraj assembly constituency's booth number 281 at 7.05 am today. 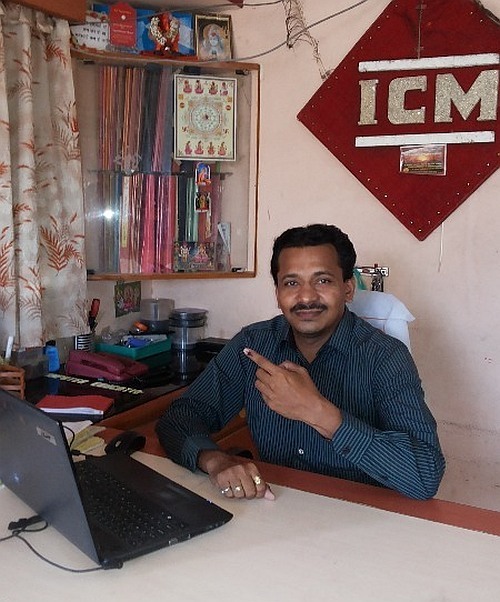 Jagdish says he has done his moral duty. 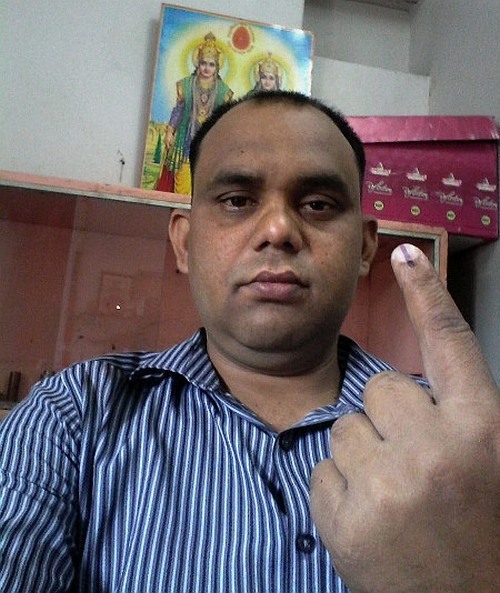 Bharat Kumbhakarn voted for his candidate. 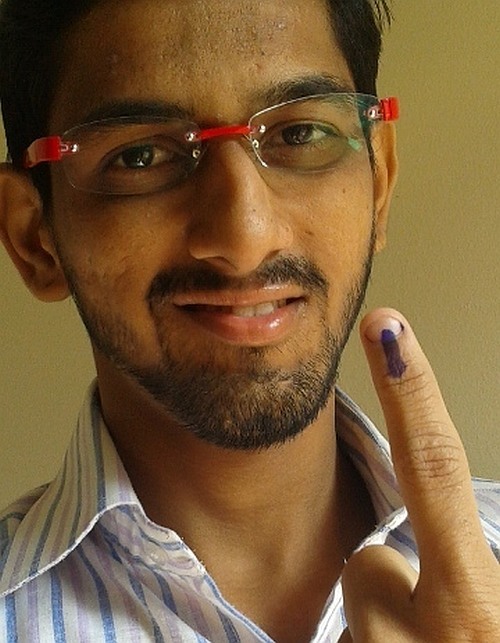 Avinash Deshmukh voted "for Maharashtra". 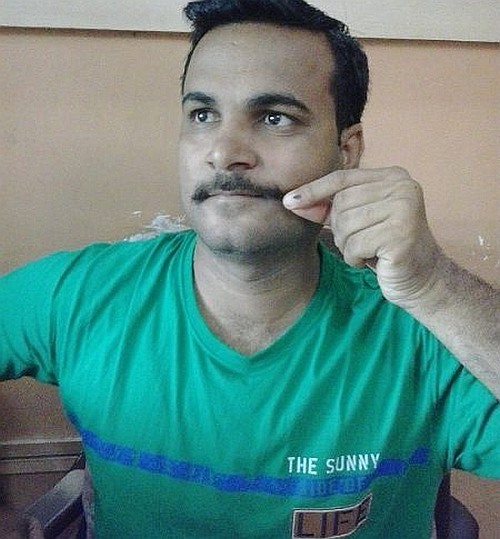 Jitender Choudhary cast his vote at the Pataudi assembly constituency in Haryana. 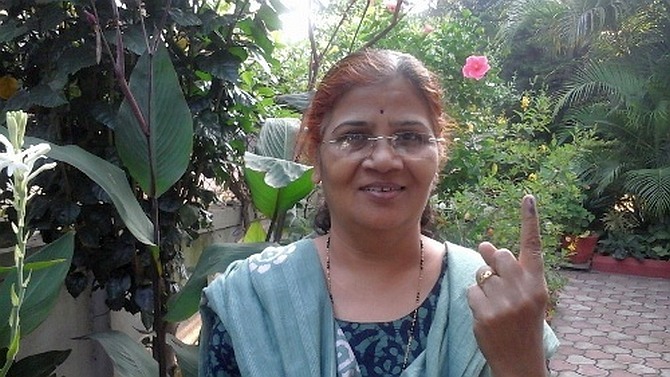 Gauri Ghadi cast her vote at Versova, Andheri. She also has a message: If you don't vote now, don't complain later! Quiz of the day: Which politician was Aandhi based on?